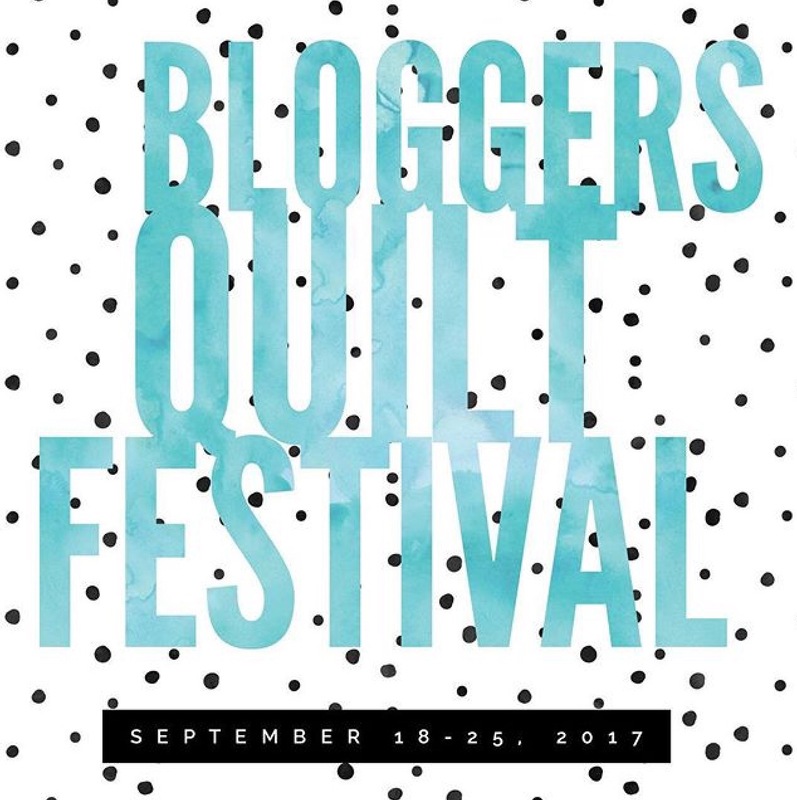 It’s time once again for the Blogger’s Quilt Festival hosted by Amy at Amy’s Creative Side. 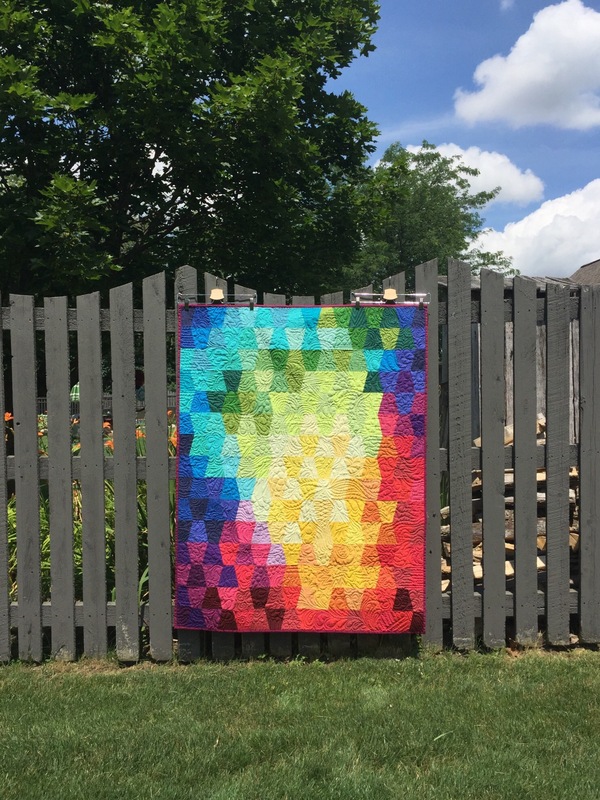 Long time readers will have seen this quilt before, but it remains one of my favorite finishes this year so I decided to share it again for BQF. This was made entirely from solid scraps that I cut up using my tumbler die from Accuquilt. 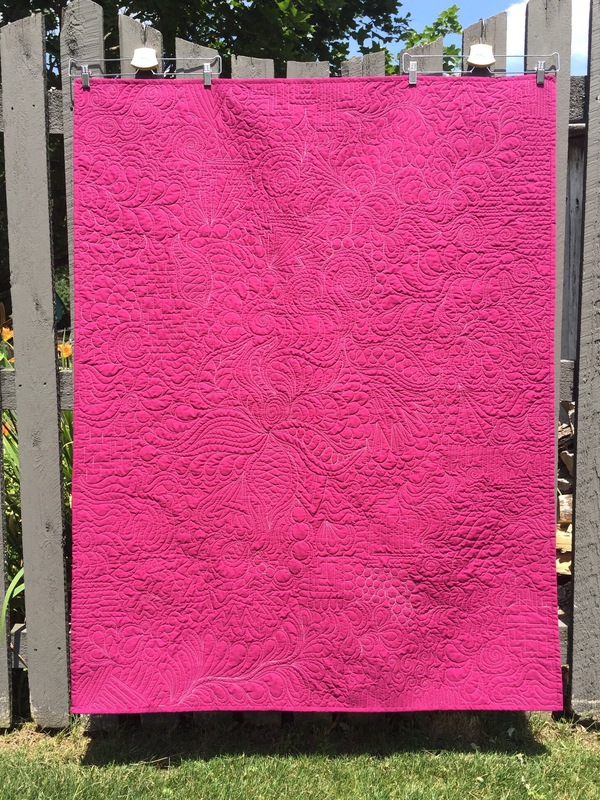 Make sure you use the link above to head over to Amy’s to see all the other beautiful quilts! This post contains an affiliate link. If you purchase something from Accuquilt after clicking on my link, I receive a small commission to support my blog. This entry was posted in BQF. Bookmark the permalink. 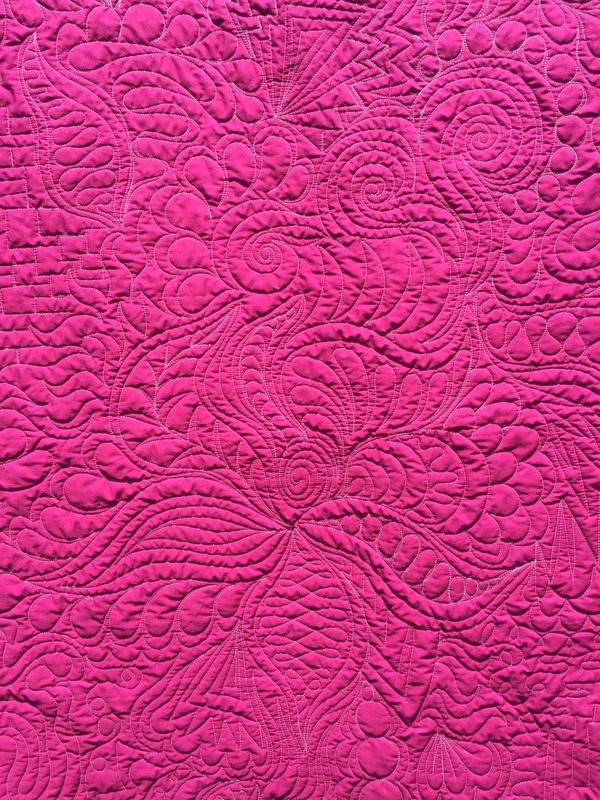 Wonderful scrolly, feathery quilting on a beautiful quilt. I really liked looking at the back view. 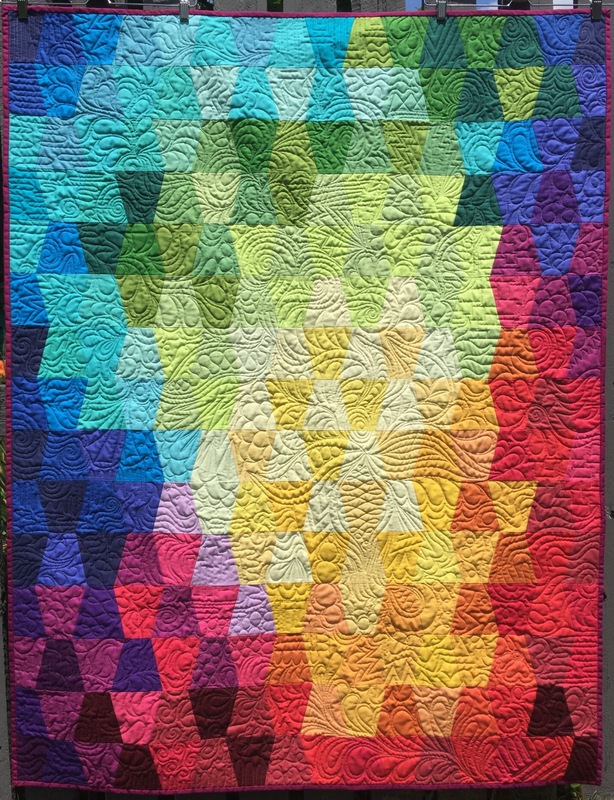 A tumbling rainbow quilted with feathers, etc. What could be better?!?! Absolutely stunning!! Great quilting too. Hi Katy, what a great way to showcase your quilting. 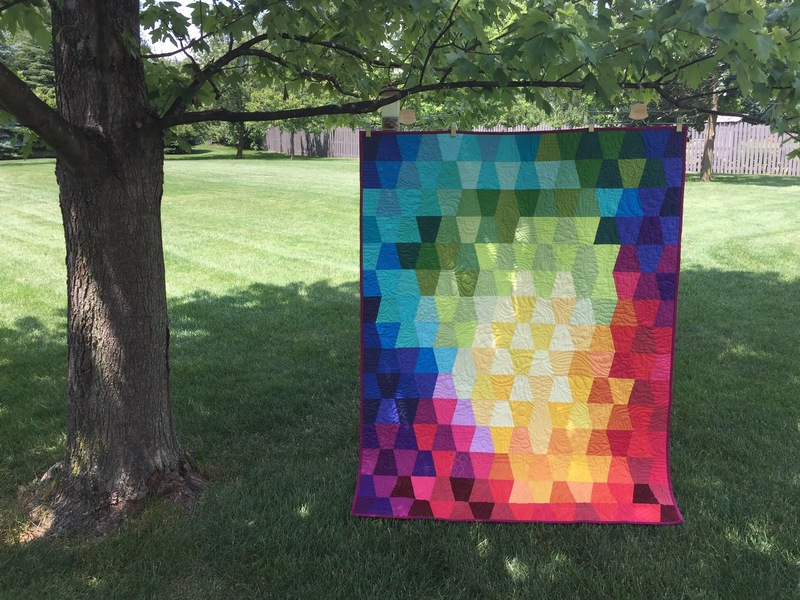 The colours and the quilting are awesome! what a fun quilt and enjoyed seeing the quilting. great job! Lovely use of colour and the quilting is amazing. 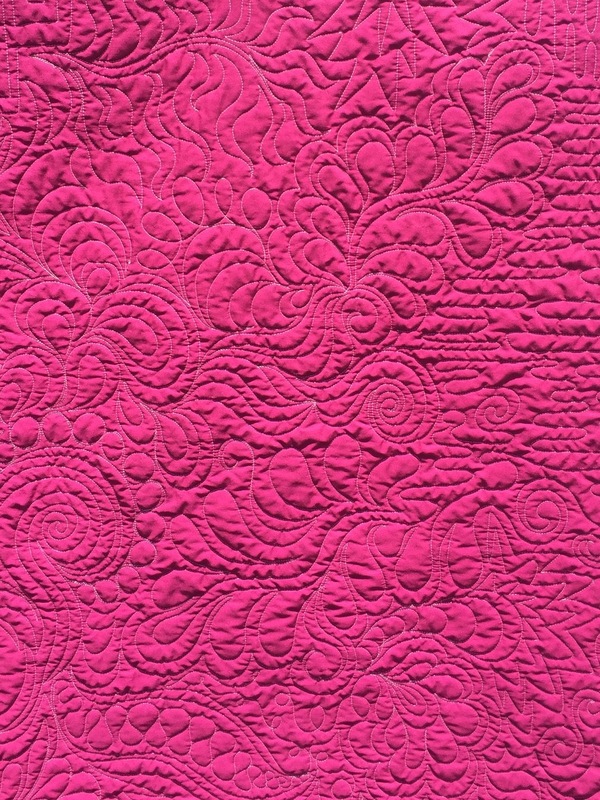 The quilting on this is fabulous! 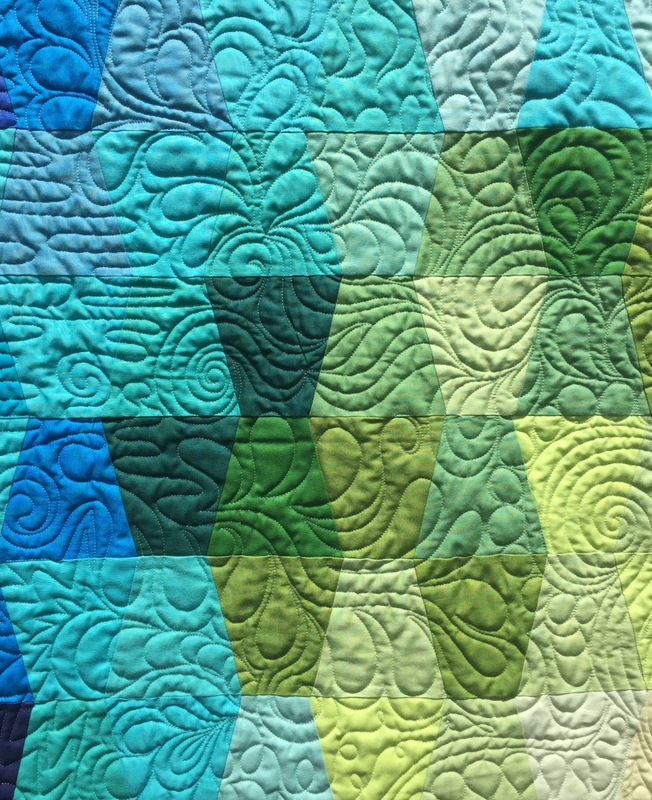 Color and layout are really cool, but that quilting is to die for! Gorgeous! 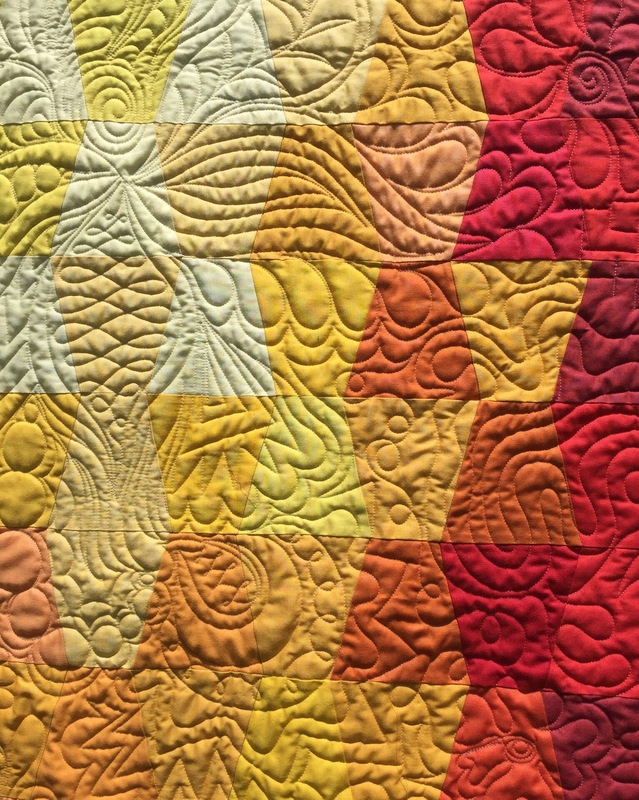 The colors and the quilting are both stunning! Your quilting is out of this WORLD!! Wow! 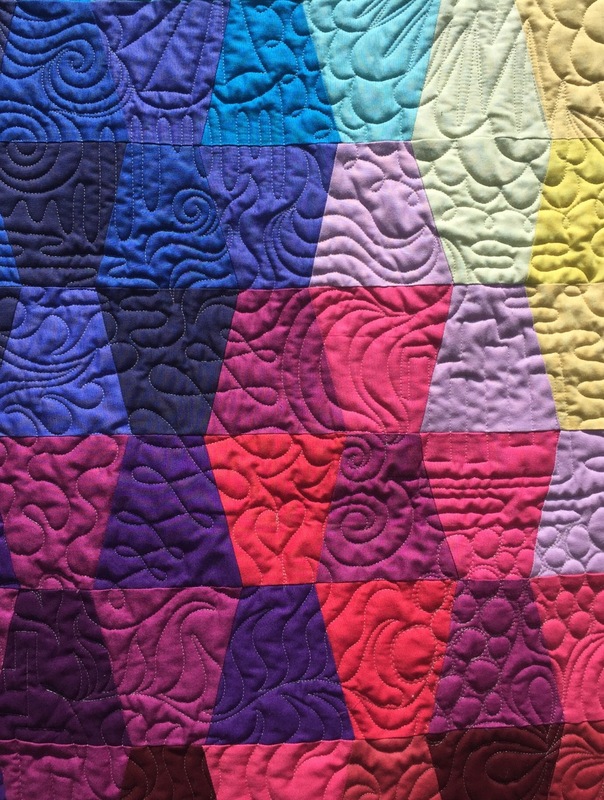 A gorgeous quilt, the colors, your quilting, everything! So many beautiful quilting ideas all in one quilt! Thanks for the inspiration. This is one of my favorites of yours, too. 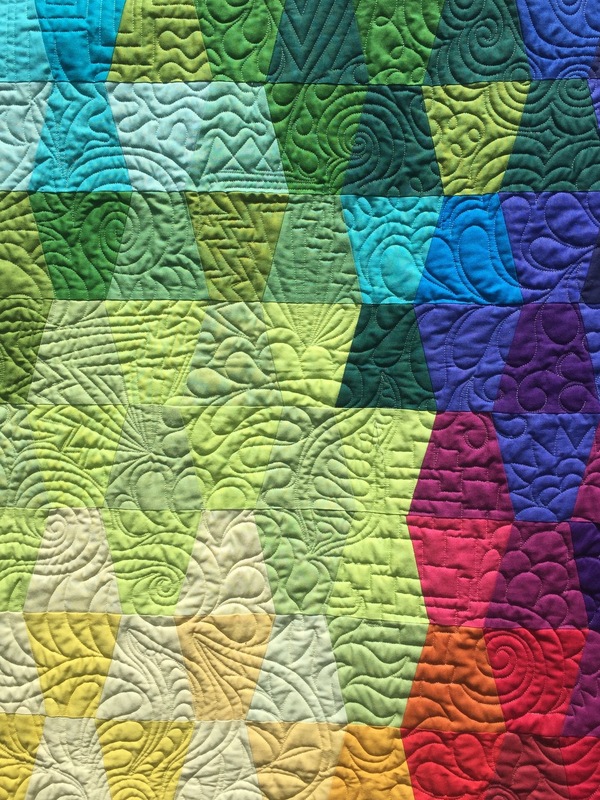 The use of color combined with that quilting just makes it sing! You did an awesome job on this quilt including the quilting itself.